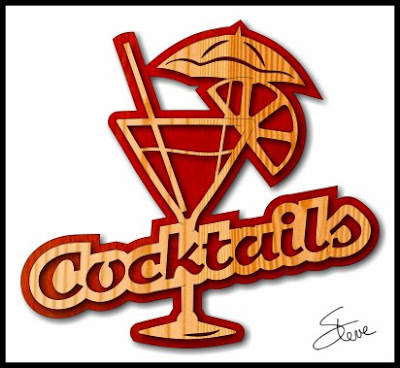 Do you need a little decoration for your cocktail bar? You don't have a cocktail Bar? Me neither. 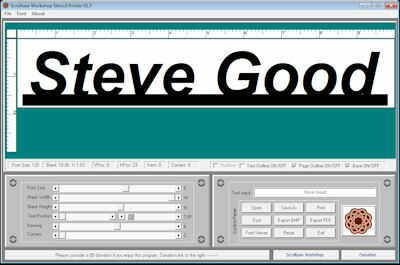 This was a custom pattern I did for a reader. I thought someone else might like to have it also so here it is. Drink responsibly. 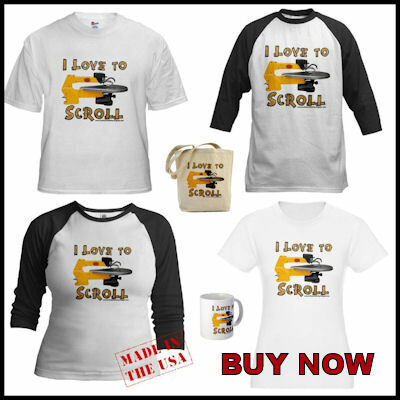 Do you need a stand for your scroll saw? Having a dedicated stand for your scroll saw is optional but it has some advantages. 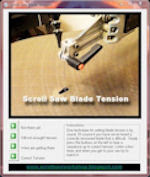 Scroll saws mounted to a stand that was designed for the machine generally vibrate less. The stand pictured for the DeWalt DW788 is an excellent stand. 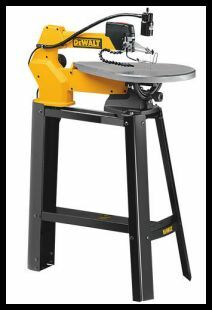 When the saw is mounted to the stand correctly it will vibrate much less than if you just set the saw on a workbench. This stand also has an adjustable rear leg. This allows you to raise the rear of the saw. This angle gives you a better view of the workpiece without hunching over the table. Some stands like this one can be attached to the floor for even better vibration control. Mobile bases. Some scrollers install the stand on a mobile base. This is great for small shops where space is precious. A mobile base can cause more vibration but it's a trade-off that is sometimes worth it. If you do buy a dedicated stand here is a tip. Every few months re-check all the nuts and bolts. If these are not all tight you will introduce vibration into the saw. I have seen even one slightly loose bolt cause enough vibration to make the saw cut poorly. It's a two-minute check. If you do mount your saw on a workbench try to fasten it down. Either clamp it to the bench or use nuts and bolts to permanently attach it. I have seen vibration damping pads installed under saws that had vibration issues and that can help a little. Make sure you consider the height of the saw when you set it up. Some people like to stand and others like to sit while they cut. In either case, try to get the table at a height where your arms are close to parallel to the table when bent. Your elbows may be slightly below the table height. Elevate the rear of the saw so you do not have to lean over the table to see the cut. Even a couple of inches can make a big difference. 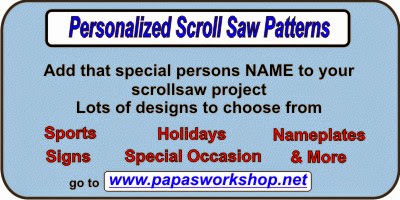 You will often be at the scroll saw for extended periods of time. You can hurt yourself if your posture is poor. 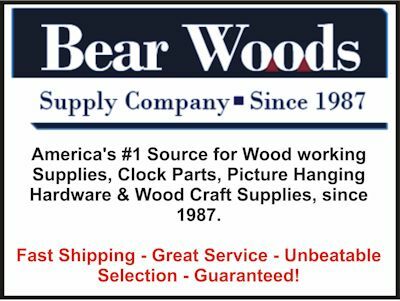 Take the time to set up your saw for comfort and efficiency. It's worth the effort. 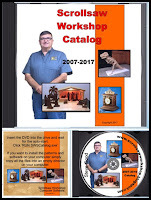 My good friend Russ Claridy from the Simply Wooden Creations site has started his yearly Whirligig Wars build contest. This is one of those really fun contests. 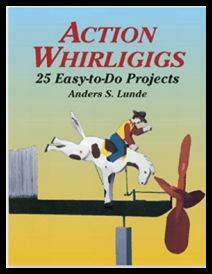 Whirligigs are just plain fun to build and watch. 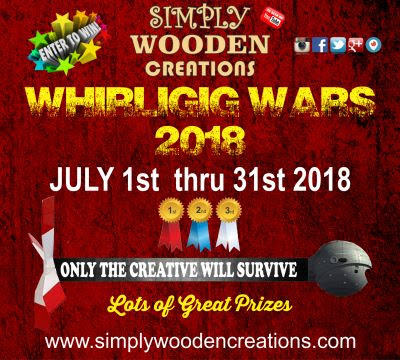 The contest has already started but you have until the end of July 2018 to get your entry included. Russ has several sponsors donating prizes. You need to go win one. All you have to do is build a whirligig and make a very short video of it in action. Upload the video to YouTube and send the link to Russ. 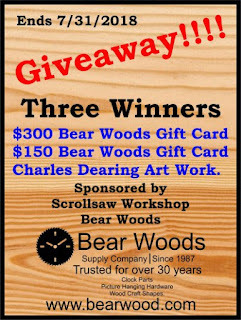 All the details are on the contest page. 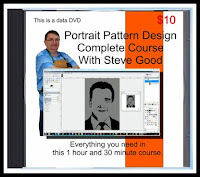 There are many books with patterns out there. Here is one from Amazon that says it has 25 easy-to-do projects. 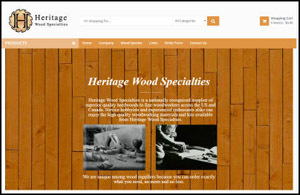 If you want to get ambitious try designing one from scratch. The mechanics do not have to be complicated. 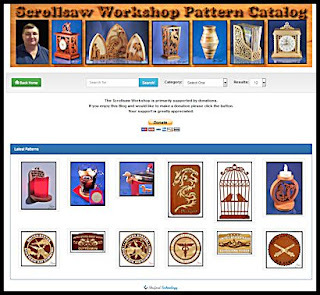 The scroll saw and whirligigs are a match. 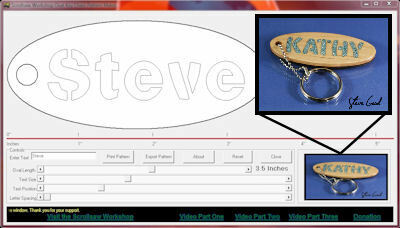 Many of the parts are easily cut on the scroll saw. I know it's hot in the shop right now but work at night if you have to but go win this contest. 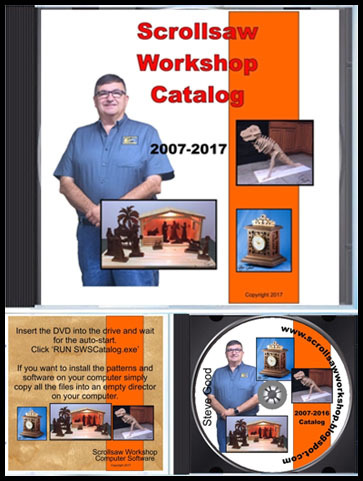 If you have not seen a whirligig in action here is a build video from Steve Ramsey from Woodworking for Mere Mortals. He even has limited plans available. The voting for the WWGOA blogger awards is underway. 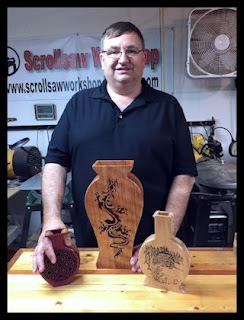 The Scrollsaw Workshop is honored to have been selected as a finalist again this year. 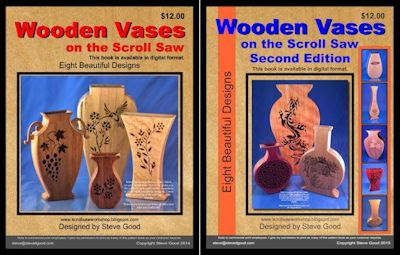 I am up against two of the finest woodworking content creators on the internet. Marc Spagnuolo and Jay Bates both have outstanding followings and make wonderful content. 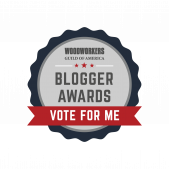 They have me in the "Best furniture making blog" category. No, I have no idea how I got in that category but it's just nice to be mentioned. If you would like to vote for me just click the link. You have until July 13th, 2018 to vote. 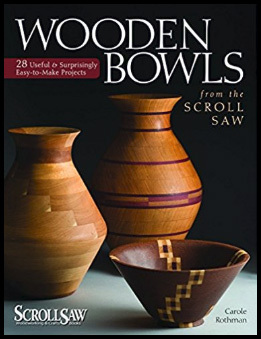 While wood bowls are commonly made on a lathe, this guided resource offers 28 projects for crafting beautiful bowls with the more accessible scroll saw. You will not believe these bowls were made without a lathe!